Over the last several weeks there have been many planning sessions and discussions about the success of our 2011 budget forecast. We have the overall objective set with five definitive and measurable goals assigned. Those goals are supported by five strategies and a wealth of tactics to support those strategies. My budget binder is almost complete and I am feeling very organized heading into the new year. I have all of my performance reviews scheduled with my team this coming week so that 2010 can be reviewed and of course have those individual plans presented so we can get those territories on the same page with the regions plan. I have the reporting set up so that there can be items easily tracked, measured and bench-marked for the new year. Our marketing plan is well thought out and focused to accomplish our goals on many fronts. Our consultant incentive program is geared for achieving success in the budget goals as well as growing commissions and rewarding performance. Now, with that being said, we can do all of the planning, organizing, strategizing, budgeting, team-building and cheerleading as possible and it stills comes down to a couple of key components to have a successful 2011. One is EXECUTE. Meaning, to carry out; accomplish or “execute the plan”. Without execution the best laid plans can be thrown in the trash. Second is ACCOUNTABILITY. Meaning, responsible to someone or for some action; answerable or “being held accountable”. There has to be some form of accountability to the execution of the plan and in the achievement of our goals for all parties involved. The keys to a successful 2011 is to have a great plan (failing to plan is planning to fail) that you can execute (actions speak louder than words) and make sure everyone is accountable (about meeting the established expectations). Have a great and successful 2011! Through the one-on-one connection of a ride-along, you can learn firsthand about your reps’ strengths and weaknesses, what excites them, what makes them uncomfortable, and their goals and aspirations – knowledge that is essential to good management. 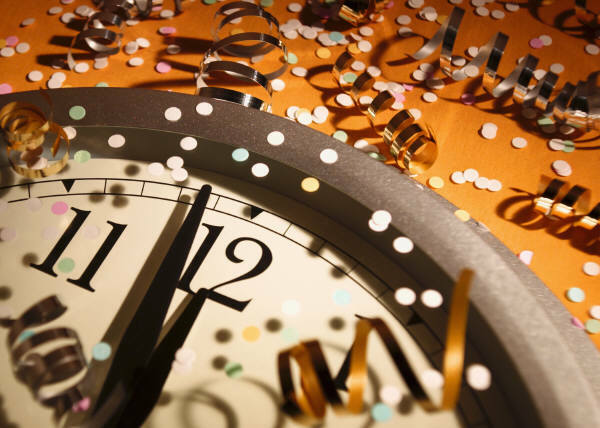 Bringing in a new year is like hitting a reset button. I have come to refer to it this year as the Etch-A-Sketch strategy. Change the calendars, transition from all of the Christmas decorations and so on. The tree coming down and a Pork and Sauerkraut dinner seem to signify a new year is here. Let’s not forget about all of the New Year’s Day college football. There seems to be a bit of churning that goes on as I head into a new year. I don’t necessarily need to reinvent myself every year, however, I do reflect on what I had accomplished in the previous year and look at ways to improve myself in the coming new year. You could say that I refocus my energies on a few keys areas. I am not saying to forget about the last year, but, to see what transpired and learn from the experiences, grow your skill set and aggressively prepare to achieve your objectives in the new year. I have set a up a grid on a piece of paper that is separated into 6 quadrants. These are areas that I want to rethink, reevaluate and drill down in to focus on some objectives that I want to achieve for this coming year. Of course there is work and personal/family and I also have set up areas to focus on several projects that I have been involved with and/or are working on. One last quadrant that I have is leadership and personal development. In each of these areas I have started to list my objectives and there may be several that I want to achieve. I will have specific SMART goals for each of these objectives. From there I can develop the strategies and tactics needed to work towards achieving those objectives. So as we start the new year I am recommending that you take the time to look at where you have been and where you would like to be. Don’t wait….get started today. Well, another year in the books. How was your year? I found it to be very challenging to say the least. The last few days have been spent wrapping up the end of our 2nd quarter and at the mid-point of our fiscal year getting organized for the new year. Now there are 252 sales days remaining in 2009. What are your plans for this upcoming year. I guess I’m talking about resolutions. JustSell.com puts out their sales resolutions every year and I find that they provide a great road map to sales success. Here they are for 2009. A mere 18 points to get you focused for the new year. What is your plan? For the new year I have committed to myself that I will spend more time reading, with the help of my family and friends in a reading challenge, and I will target 13 books to read in 2009. I also will dedicate more time to this blog, my social networking sites (LinkedIn, Facebook and Twitter) and writing. I can’t forget about health and family to focus on. Sounds like a lot on the plate, but, in this new year I am going to be a firm believer in activity and productivity will be needed for success. What is your plan?